Whoa, what a weekend! 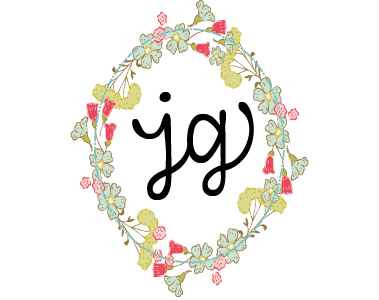 Birthday parties, family dinners, sleepovers, book photo editing and this! 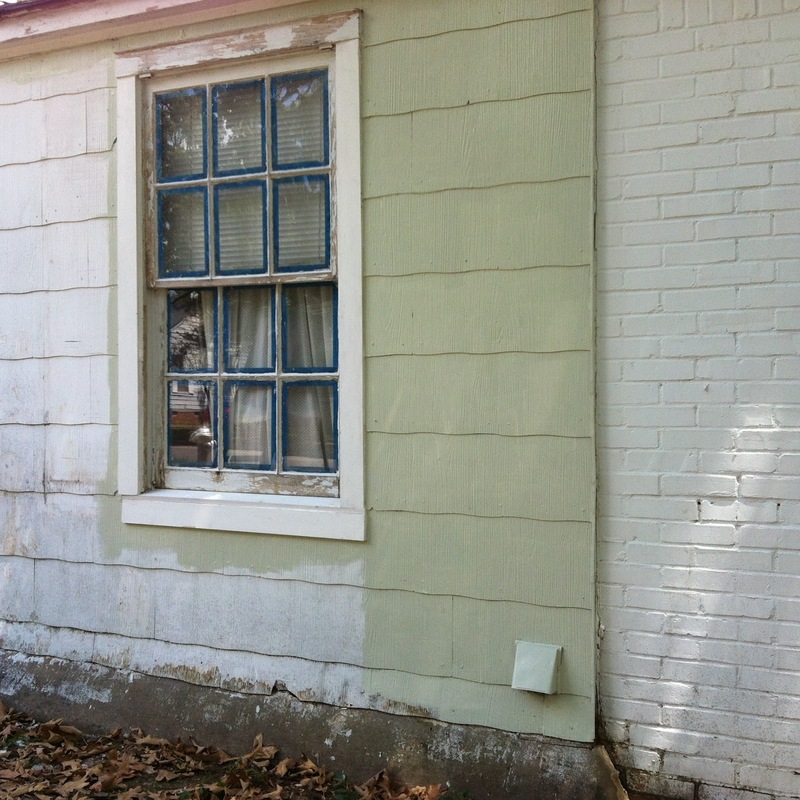 We have scraped it raw and now we are painting the outside of our house. Well I should say that so far, we have scraped and Sweet Man and my brother are painting. I have yet to pick up a brush or a roller, but my time is quickly approaching. Our house is a typical older home in that it is cobbled together in places. This means we have a variety of surfaces inside and out. Most of our house is brick but part of it is siding. 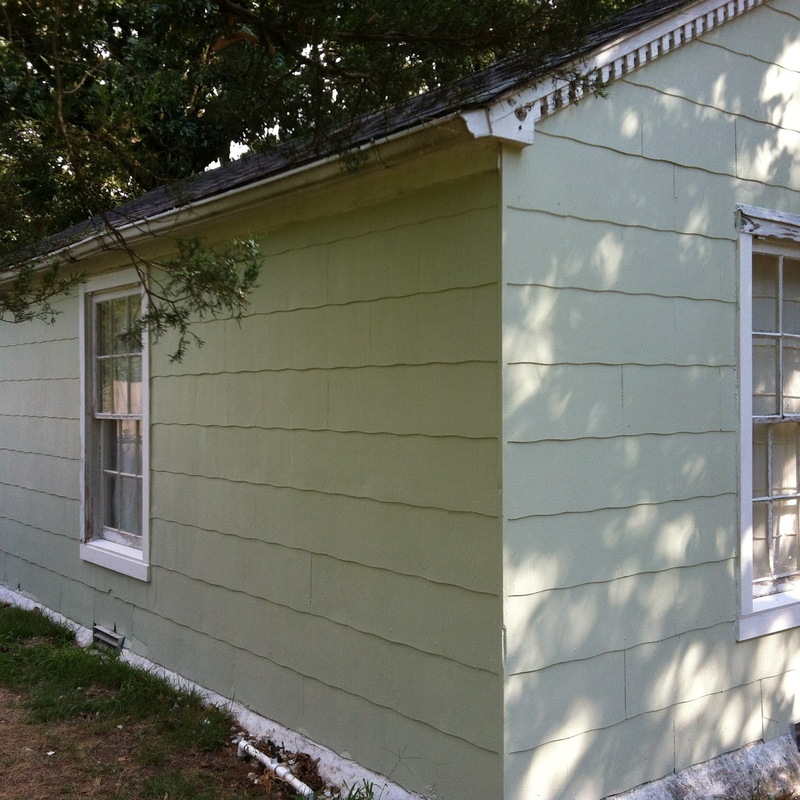 For the siding portion and the front steps we have decided to go with a very light sagey green. For the brick and the trim we are sticking with a bright white. I think the contrast will be lovely and very east coast cottag-y. We started with the green and I love it so much.. Instant gratification. The color is so fresh and clean and new looking. This was just the cool breeze of progress that I needed to keep keepin on. Course there is still so much to do. But there is no rush, not really. The house is for sale, but we are living and loving in it all the same. So baby steps is how we will proceed from here. We will just take it one bit at a time -one window, one portion of trim, one wall at a time – and eventually it will all be done. We will add and update as we can afford, and as we want. And it will all be lovely. In fact, it already is. Hey, I saw some of the new paint over the weekend. Looking good! Saw it today and think it's beautiful! Great choice of green – natural and pretty!